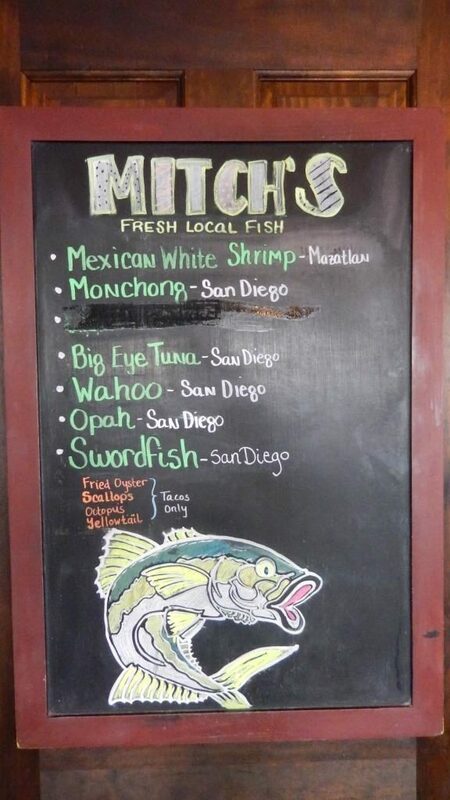 Never ask a San Diegan where their favorite place for fish tacos might be, mostly because we have more than one place. There really is no “one” “best” “favorite” place. A response might depend on what neighborhood you’re in, what’s fresh for the day, and whether or not it’s peak eating hour or an off hour. Nevertheless, one go-to spot for me is Mitch’s. Walking in at 10:30 in the morning on a weekday likely means no jam-packed crowd. It is 100% okay to eat fish tacos for a late breakfast. We don’t care. 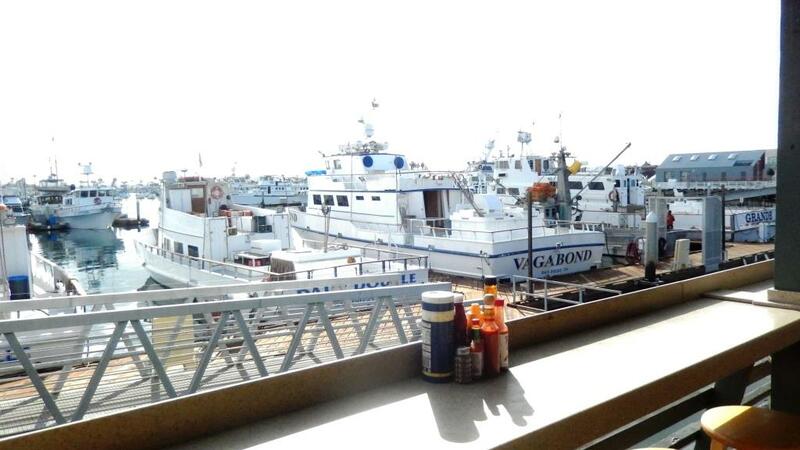 I never leave disappointed and the view out on the deck is great, sometimes complete with fishing boats coming in and unloading their catch. With a board like that, you cannot go wrong.